BBC NEWS | Science & Environment | What is the 2030 Perfect Storm idea? As the world's population grows, competition for food, water and energy will increase. Food prices will rise, more people will go hungry, and migrants will flee the worst-affected regions. BBC correspondents explore the forecast by UK chief scientist John Beddington, of a "perfect storm" of food, water and energy shortages in 2030. They also consider what scientists and members of the public can do to help avert a crisis. That's the simple idea at the heart of the warning from John Beddington, the UK government's chief scientific adviser, of a possible crisis in 2030. He foresees each problem combining to create a "perfect storm" in which the whole is bigger, and more serious, than the sum of its parts. "Can we cope with the demands in the future on water? Can we provide enough energy? Can we do it, all that, while mitigating and adapting to climate change? And can we do all that in 21 years' time?" he asked the SDUK 09 conference in London, in March. Some of the problems reinforce each other, in obvious ways. For example, intensive agriculture swallows up large amounts of water and energy. 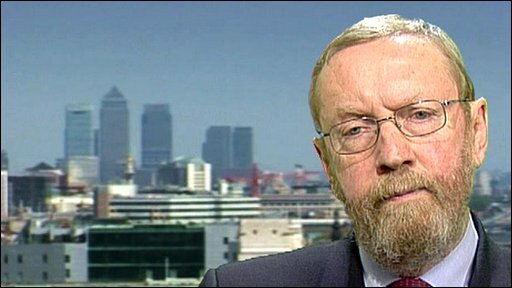 But Professor Beddington also points to other complicating factors and worrying possibilities. There is a risk that climate change will have drastic effects on food production - for example by killing off the coral reefs (which about 1bn people depend on as a source of protein) or by either weakening or strengthening monsoon rains. Also, some scientists are predicting that the Arctic will be ice-free by 2030, he points out, which could accelerate global warming by reducing the amount of the sun's energy that is reflected back out of the atmosphere. Not only is the world's population predicted to grow (until the middle of the century, at least) but more people are moving to live in cities, Professor Beddington points out. The growth of cities will accelerate the depletion of water resources, which in turn may drive more country dwellers to leave the land. As people become wealthier in some parts of the world, such as China and India, their diets are changing. They are consuming more meat and dairy products, which take more energy to produce than traditional vegetable diets. Like city dwellers, prosperous people also use more energy to maintain their lifestyle. The more land is devoted to growing biofuels, in response to climate change, the less can be used for growing food. Source information: Energy data graphic derived from World Energy Outlook © OECD/IEA, 2008, figure 2.2, p. 81 and modified by BBC News. Professor Beddington says he is optimistic that scientists can come up with solutions to the problems and that he is encouraged by signs that politicians are listening more to scientific advice. But he adds: "We need investment in science and technology, and all the other ways of treating very seriously these major problems. 2030 is not very far away." Here three experts give their view of Professor Beddington's warning. "It's definitely one scenario, though it's the worst possible scenario. In general terms, he is right. All these things are coming together. There is some argument over population growth but the bottom line is that it's going up and food supply is going to be more of a problem. The developing world is growing, and its people are getting richer. There will be more demand for foods we have automatically assumed we will have access to. We are not going to be able to buy in everything we need and the price of food will go up. John Beddington is making the argument that we need to do something now and the best way to make that argument is to give the worst-case scenario. It is going to become a problem feeding the world, the question is how big a problem." "The general premise, that we have a number of critical drivers coming together, is correct. The date 2030 is rhetorical. We don't know whether things will become critical in 2027 or 2047, no-one has any idea, but within the next generation these things are going to come to pass unless we start doing things differently. That is the urgency of this set of ideas. When governments talk about reducing emissions by X% by 2050, I despair. We need to do it by next week. Humankind has not faced this set of combined challenges ever before." "It's true that all these things, and more, are interconnected. I study the connection between climate change and security of energy supply. For example, if you switch from coal to gas to slow the pace of climate change, the energy supply crunch comes more quickly. John Beddington is right to underline the dependence of agriculture on energy - I've heard it said that one in four people in the world is fed on fossil fuel, because gas is fundamental to the production of fertilisers. Climate change also has implications for power stations - nuclear power stations that are cooled by rivers and hydroelectric dams. And whereas changes in Europe could be incremental, in Asia it's potentially more abrupt. Whole regions are dependent on cycles of glacial melts and monsoons and if these start to shift there will be trouble." Will we change our ways?